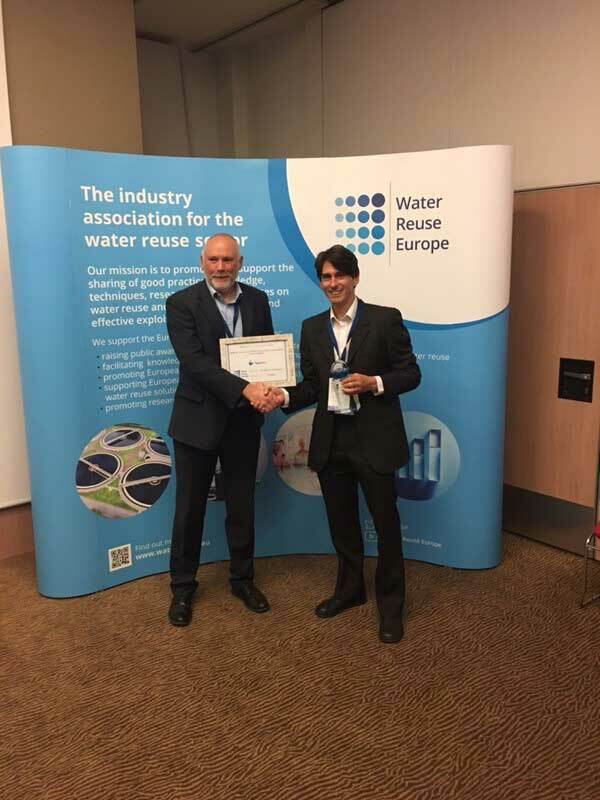 Worcester-based Aquabio Ltd – in conjunction with Bakkavor – has been awarded the inaugural Water Reuse Europe award for the Most Innovative Water Reuse Scheme at the association’s annual conference in Bruges, Belgium last week. The award recognises Aquabio’s water reuse solution at Bakkavor’s Cucina Sano site in Boston, Lincolnshire – where Bakkavor produces Italian ready meals for Marks & Spencer – as a project at the forefront of water reuse practice in Europe. The new installation, which became fully operational in December 2016, enables more than 80 per cent of the water used to be safely recycled. It has also cut traffic flow to and from the site eliminating approximately 130 road tankers per week. The plant treats up to 700,000 litres per day and up until September 2017, more than 72.35 per cent of wastewater received from the factory has been reused, a total of 123 million litres. The project makes use of the advanced low energy MBR technology and RO system, with UV and chlorine dosing. Bakkavor is the UK’s leading provider of fresh prepared foods. Aquabio is part of the Freudenberg Group, a global company based in Germany which operates in 60 countries worldwide. Water Reuse Europe is the new trade association for the European Water Reuse Sector. It provides a collective identity for European water reuse professionals and a focal point for nurturing innovation and best practice. It represents the European sector’s interests and aspirations and stimulates its growth and competitiveness through various initiatives. It supports its members by facilitating the sharing of knowledge, techniques, research, and experiences as well as by promoting European expertise and solutions in water reuse to global markets. For more information, please visit: www.water-reuse.eu. This entry was posted in Industry Awards, Water reuse. Bookmark the permalink.